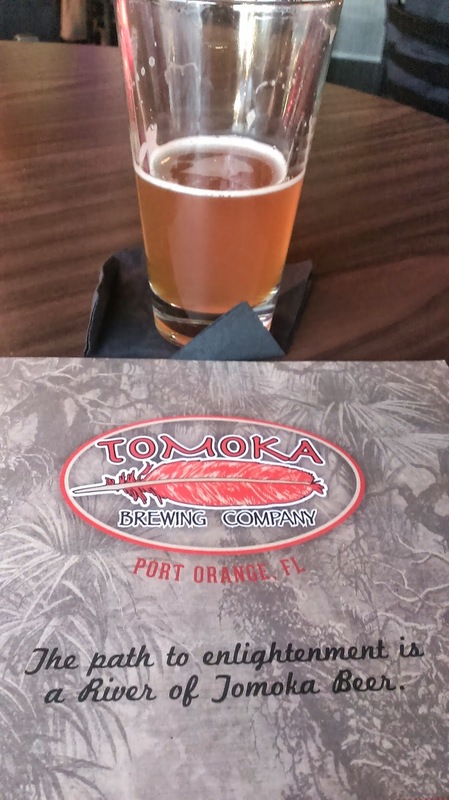 The new Tomoka Brewing Company brewpub in Port Orange, FL. There was one, now there are two. 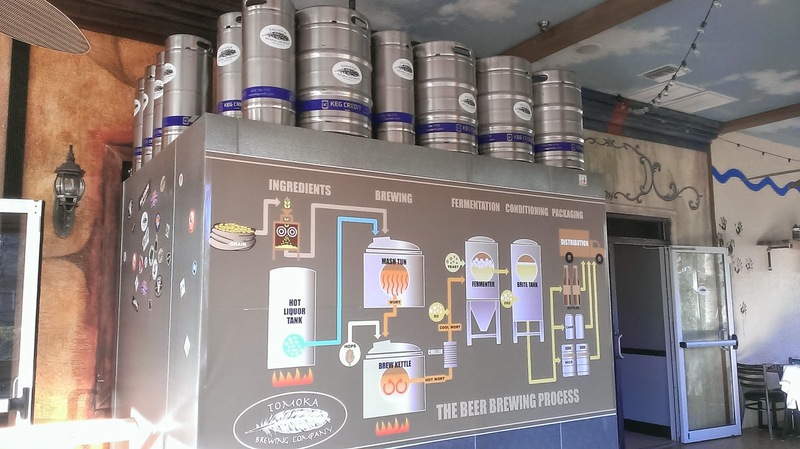 Peter and Jen of Tomoka Brewery in Ormond Beach have now opened a second, larger brewpub location in Port Orange, which is also home to a 15-bbl production facility. 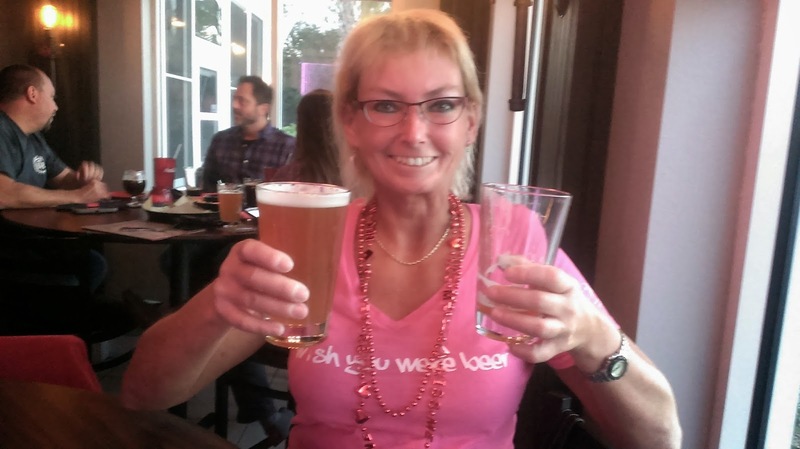 The Port Orange brewpub opened on February 12 at 4pm. So, what better way to spend Saturday Valentine's Day than to visit a new brewpub, eh? 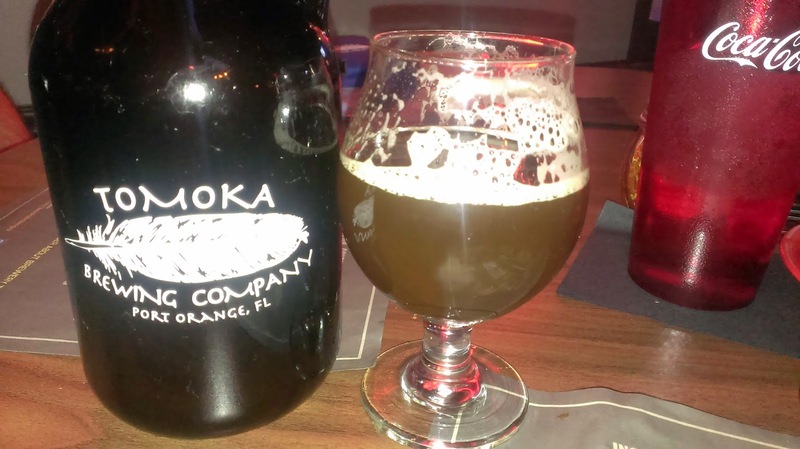 Most of you probably know that Tomoka Brewery, the first brewery in Volusia County, opened on Granada Blvd. in Ormond Beach on July 5, 2013. Although the brewery wasn't able to begin brewing on site until December 2013 (due to licensing stuff), it quickly became apparent that there was quite a bit of brew-creativity here. Unfortunately, every time that I visited, I wasn't able to get their own beers, just having missed the tappings, or because they sold out that quickly. Otherwise, the brewery offered some pretty good beers from other Florida breweries. 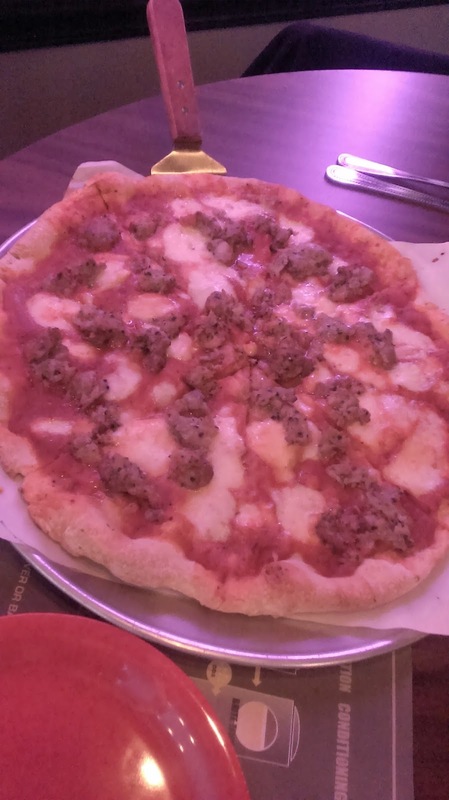 As Jen has experience in the pizza biz, the brewery also offered homemade pizzas. 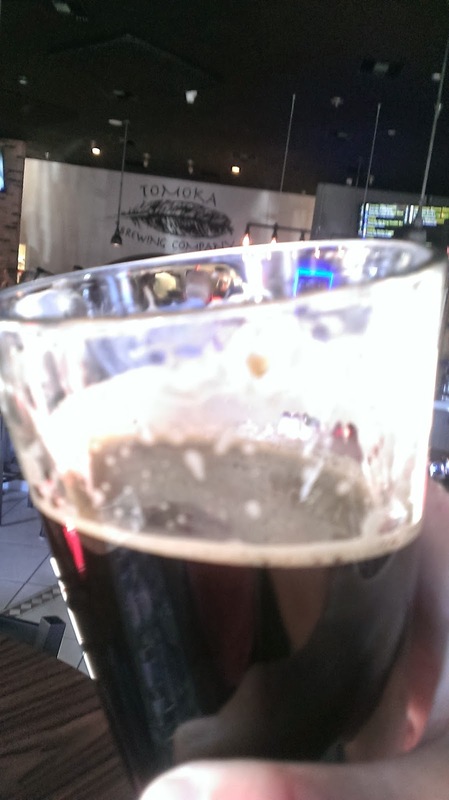 In 2014, Tomoka Brewery won a couple of prestigious medals at the Best Florida Beer Championships: a Gold for its Elvis Peanut Butter Banana Sandwich Brown, and a Bronze for its Pumpernickel Porter. I still haven't had that "Elvis," but I did have the Pumpernickel Porter at two events, and it tastes true to its name. Not too long after, they started planning a production brewery with a 15-bbl system. If you were following on social media (I'm a beergeek, I do that kind of stuff), you saw the progress of the interior construction and the delivery of the tanks. Long story short, yep, the new brewpub opened February 12 at 2647 S. Clyde Morris Blvd. in Port Orange (just south of Daytona Beach). The result is this: the Ormond Beach location is now a Sour Nano-Brewpub, and the Port Orange location is a 15-bbl production brewpub with a full menu. 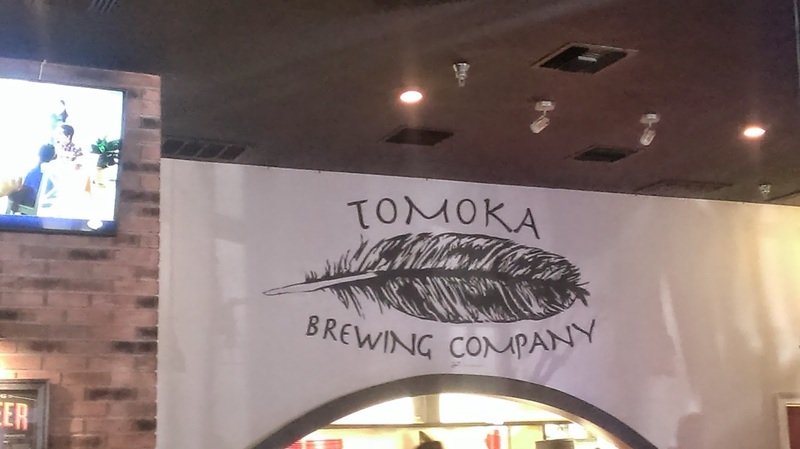 It also recently began distribution to local establishments as well, so you'll see some Tomoka Brewing beer at other locations now, too. The new brewpub has a full kitchen, dining area, bar with table seating, a separate dining room off the bar with additional TVs, and an outdoor patio. The brewhouse is housed behind a glass partition along the dining room. On the day I visited (keep in mind this was 2 days after opening), the available house beers were: Tomoka Hazy Sunrise, a weissbier; Lunar Eclipse Stout; Big Bang Double Red IPA; and Mutha Fuggle, an extra special bitter. Oh, come on now, who doesn't like saying "Mutha Fuggle"? I liked it so much (pun intended), I ordered more than one (yeah, of course that made it on social media and Untappd). The proof is in the Fuggle(s). The Hop Quest IPA, an American IPA, wasn't on tap that night, but it's my understanding that it is available now (yeah, yeah, another reason to go back). very good. There's a growler of it. You'll definitely want to check out the food menu. 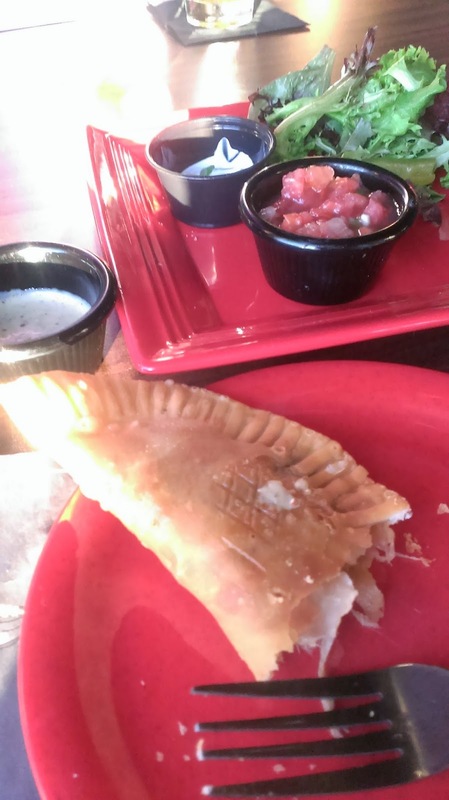 We're talking full menu here: appetizers, pizzas, soups, salads, burgers, entrees. 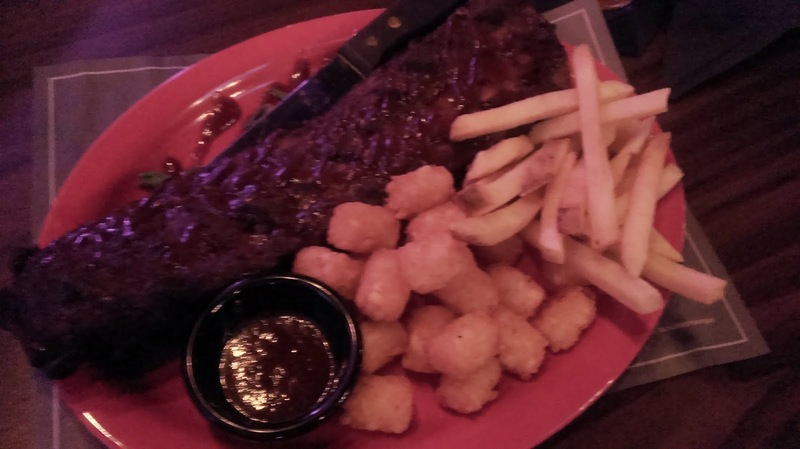 The portions are not only good-sized, but there's some quality here. Hard to believe that this place was only open for two days. Ribs with Stout BBQ sauce. The rub seasonings may be a bit too spicy for some. The Stout sauce is quite good - I could put that on a bunch of things. It just so happened that Elvis made an appearance at the brewpub that night (I think he was at the Ormond Beach location before that). One of these days, I'll get that PB Banana Sandwich Brown. Sounds like something to get "all shook up" about. The brewpub opens daily at 11am for lunch (noon on Sundays). Join the loyalty club and get a shirt, koozie and a growler fill -- you'll want to ask about that. I think you'll want to check this out. As more house beers make their way onto the menu, it's another reason to go back. I know that there are a few more menu items that I want to try, and, well, there's always more beer to sample. The staff is friendly, and the atmosphere is laid back and comfortable. Each location has its own separate webpage and social media pages. 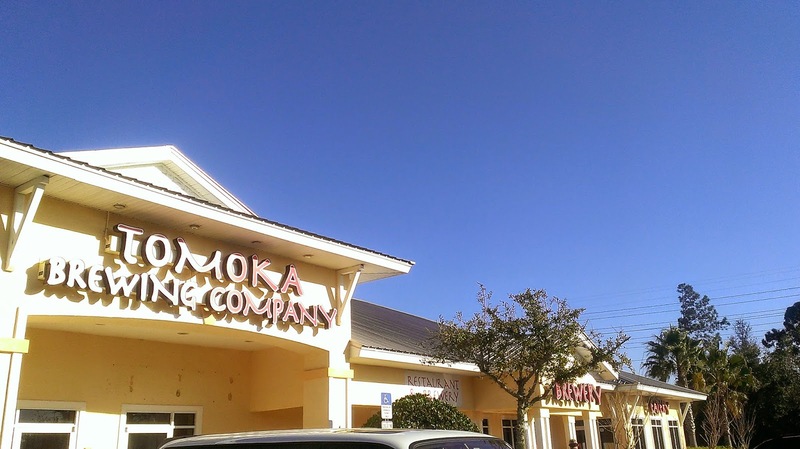 For the original Ormond Beach nano location, see Tomoka Brewery. 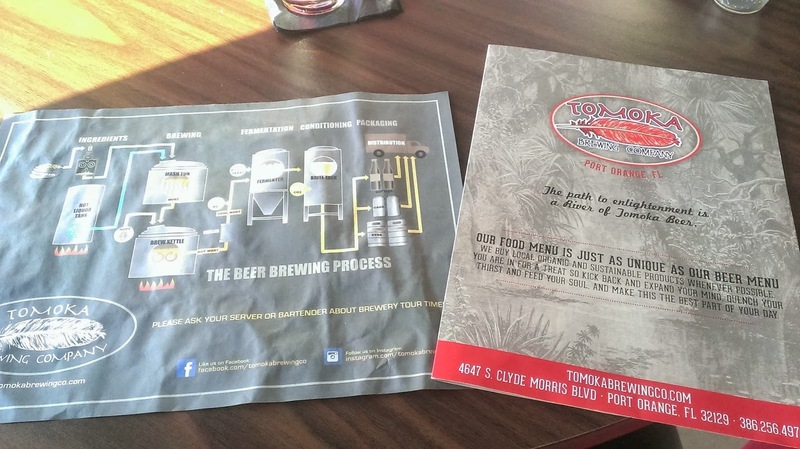 For the new Port Orange brewpub, take a look at Tomoka Brewing Company. Til next time, enjoy the beer! See you at a brewery, brewpub or beer event some time!